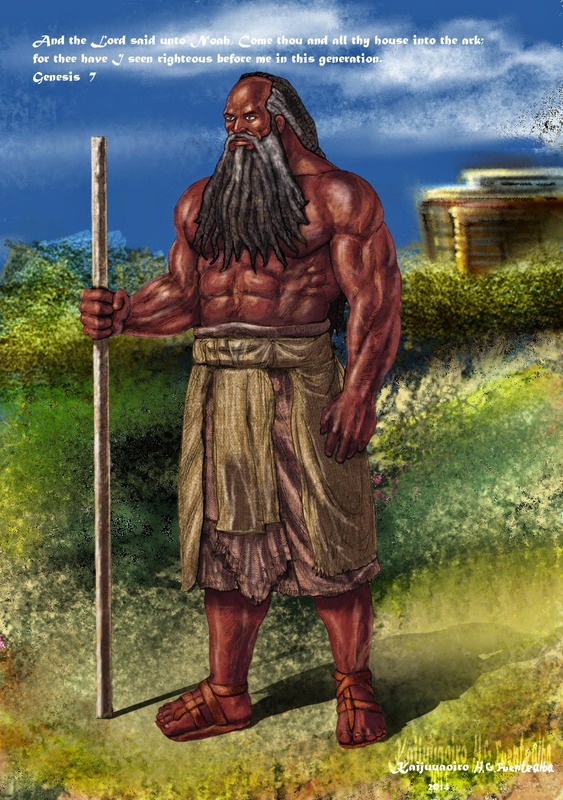 How did the True Noah looked like?, I made this picture, just to represent how Noah most likelly looked like according to biblical truth historical reality of humanity. Some has the opinion that according to the book of Enoch, Noah was albine, but actually that apocriphal book has not tried to represent Noah as an albine, but in a manner of fable, has tried to represent him as someone similar to the angel of the Lord, as he appears in certain parts of the old testament. Its is simply not biblical. Moreover its been prooved that Enoch has not the same gramatical structure as the book of Genesis, which was written by Moses as indicated by God, and so Moses is mentioned by Jesus as the first prophet. Therefore, making an average of human culture and genetic basis, and the biblical history that indicates that Noah is the common ancester of all living mankind, thus I considered the was to represent him properly.